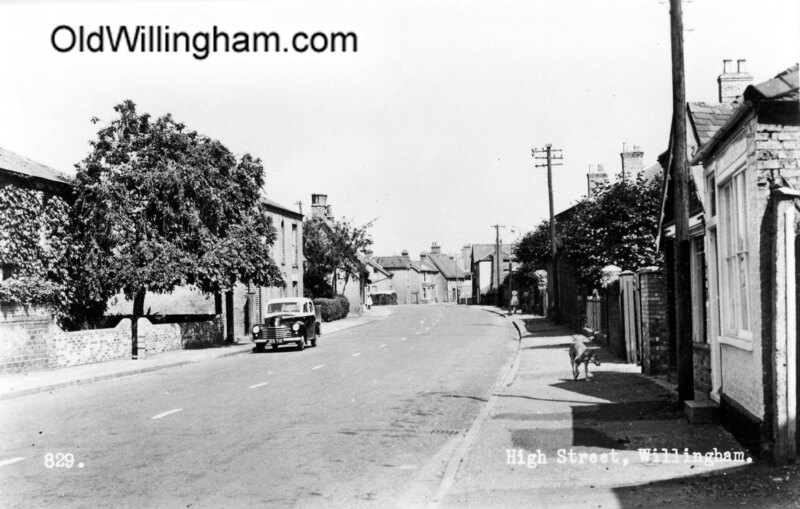 Here is a scene looking down the High St. with (until recently) the hair-dresser’s on the right. The car looks like a Morris Oxford which would place the photo in the early to mid 1950’s. Surprisingly, the view standing on this spot today is very little changed. Of course many buildings have been demolished and replaced since then but it still looks very familiar sixty or so years later!